Months ago I advanced the thesis that the third great bull market in gold of my lifetime began in December 2015. That was when gold fell to $1,050 per ounce, down 50% from the August 2011 high of $1,900 per ounce (using the $250/oz. price of 1999 as a baseline). The first bull market was 1971–1980, when gold rose over 2,000%. The second bull market was 1999–2011, when gold rose over 700%. So far, in this third bull market, gold is up over 25%, but the new bull market has far to run. Turning points in long-term bull and bear markets are not always apparent at the time. Low prices can go lower even after a rebound. It made sense to look for evidence that the December 2015 price really was the low. The evidence emerged when gold rose in 2016 and 2017, the first back-to-back annual increases in the gold price since 2011–12 (although by then gold was already off its intrayear high from August 2011). Gold is up again in 2018 on a year-to-date basis. Of course, volatility continues in the gold market with rallies and drawdowns every few weeks, but the trend seems solidly higher for the third year in a row. This article gives a capsule summary of the reasons for gold’s recent strength, including safe-haven demand as trade wars intensify and rising geopolitical tensions regarding North Korea and Iran. The reasons for the rally also include strong demand for physical gold by Russia and China and supply-side constraints from the mining community due to mine closings and reduced exploration after the price collapse of 2013. Americans are not yet in on the fun. Sales of gold and silver bullion coins by the U.S. Mint have practically dried up. 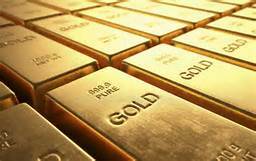 But the rest of the world, from Turkey and Iran to North Korea, is acquiring gold as fast as they can as a hedge against lost confidence in the U.S. dollar and U.S. economic sanctions. Gold has shown strong performance in the face of financial head winds from interest rate hikes and balance sheet reductions by the Federal Reserve. Those head winds will turn to tail winds later this year as the Fed overtightens and has to reverse course. At that point gold will soar. This could be the last great entry point for gold before the new bull market really gathers steam.